Taylor Valley, one of Antarctica’s major Dry Valleys. 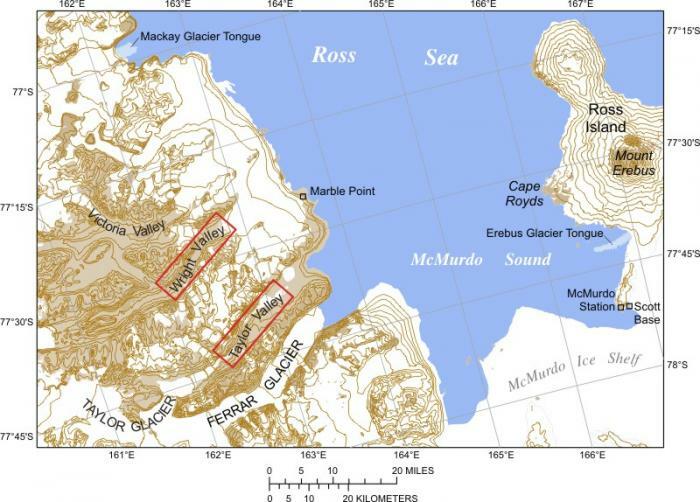 Map of Antarctica’s Dry Valleys. The Commonwealth Glacier flows through a mountain pass down into Taylor Dry Valley. The Dry Valleys are an Antarctic anomaly. While most of the continent is covered in a thick layer of ice, the dry, frigid Valleys are almost entirely ice-free, an arid expanse of mostly dirt, small rocks, and big boulders. The Valleys are dotted with a few frozen lakes, and, during the austral summer, are etched with short-lived streams that link the lakes with surrounding glaciers, some of which reach the Valley floors. This is not what you’d expect to see in Antarctica. Why are the large Dry Valleys (Taylor, Wright, and Victoria) so different from the rest of the continent? The answer lies in the mile-high Transantarctic Mountains. The Valleys are nestled between the mountains, which serve as a barrier, largely blocking them from the East Antarctic Ice Sheet. Several tongue-like glaciers creep through the gaps, but any ice that breaks off of the glaciers quickly sublimates (goes from solid to vapor, bypassing the liquid stage) in the arid atmosphere. The Valleys have their own brand of fierce weather, too. They’re bitter cold (temperatures have dropped to as low as –90 degrees Fahrenheit, or about –68° C). The air is extremely dry. Katabatic (high-speed) winds dip down over the ice at the edges of the Valleys, and rip through them at speeds as high as 200 miles (about 322 km) per hour. Along the way, wind and the gritty groundcover mix, and together sculpt some of the rocks into smooth, oddly shaped formations called ventifacts. 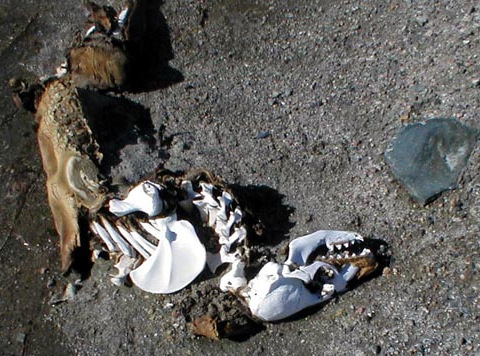 The dynamic duo of wind and grit also sandblast the mummified remains of seals that strayed too far inland—some of them thousands of years old. 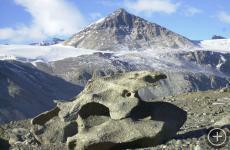 A ventifact, or wind- and dirt-sculpted rock, is a common sight in Antarctica’s Dry Valleys. A seal sandblasted down to the skeleton. 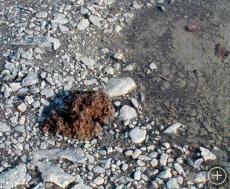 Cyanobacteria on the shores of Lake Chad. 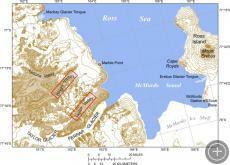 Many scientists working here are part of the McMurdo Dry Valleys Long Term Ecological Research (LTER) team. LTER is network of sites in Antarctica, the Arctic (Toolik Lake, Barrow, and Palmer), and other places worldwide. The goal of this National Science Foundation-supported program is to provide the scientific community, policy makers, and society with the understanding necessary to conserve, protect, and manage the nation’s ecosystems, their biodiversity, and the services they provide. 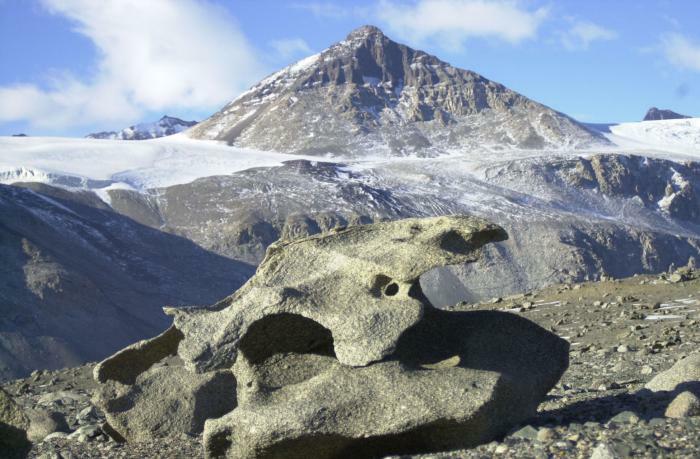 In the Dry Valleys, the LTER program is a multidisciplinary (and interdisciplinary) study of the organisms that live or grow in water, as well as research about terrestrial ecosystems. Research has shown that the Dry Valleys offer scientists more than a laboratory for studying Earth. The Valleys are Earth’s closest equivalent to Mars. Both planets have polar caps, valleys, rivers, and lakes, and the coldest temperatures in the Valleys come close to temperatures on Mars. The two places have a lot in common. What can the Valleys teach us about Mars? There are lots of questions scientists are pursuing, but perhaps the most intriguing is whether or not we’ll find life there. Researchers in the Dry Valleys know that water flows there and disappears, leaving microorganisms behind in the remaining sediment; Mars may have a similar setup. And if we do find life on Mars, does that mean we share a common origin? These are just a few of the many questions scientists are pursuing as they explore Antarctica’s otherworldly Dry Valleys.